Are You Struggling Your Way to Joy? Spring has sprung! Finally we get to wear our sandals! It’s usually the simple things that give us the most joy – don’t you think? A warm breeze, no jacket, perhaps even just a tee shirt. Blue sky overhead brings a sunny day to warm your cheeks. Grass turning the freshest green, a lawn to stretch your blanket and have a picnic. Notice the trees, how delicate the first shades of green before they become saturated in deep color. 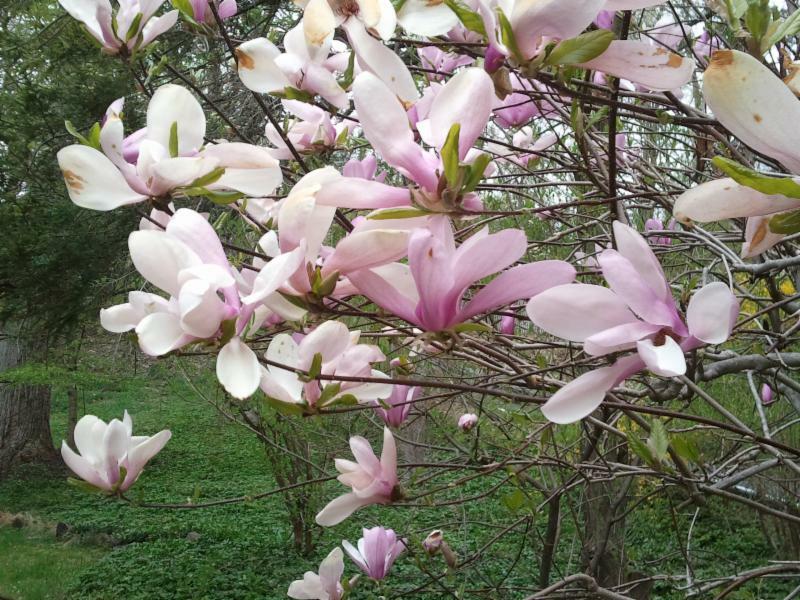 Notice the pink delicate blossoms of the Magnolia Tree here for you to enjoy. Don’t you want to bury your face in them they are so beautiful? And of course there will always be rain, listen to its rhythm as it hits the roof. Notice the black bark of the trees when it rains, the color of rocks all dark and shiny. When you engage with Nature you can surrender your usual way of being in the world and be open to receive its beauty. In that connection, you may experience yourself in a new way and find yourself quietly smiling, happy to be alive in this moment. Wherever you are in your life, nature can bring you back to your center and there you will rediscover YOU. May 11 – Happy Mothers Day!